Know a Silver Jeans Co.™ fan but don't know their size or favorite style? Ran out of time? 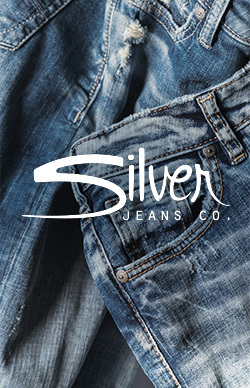 Our Silver Jeans Co.™ gift cards are a great way to give them the widest selection of Silver Jeans Co.™ jeans and tops! Available in $50 and $100 denominations, Silver Jeans Co.™ gift cards will make a great present or stocking stuffer this holiday season.